ABUJA—SENATE President, Dr. Bukola Saraki, yesterday, gave an insight into why he did not honour invitation by Police. According to him, the letter to the police on his invitation written on Tuesday was duly acknowledged. 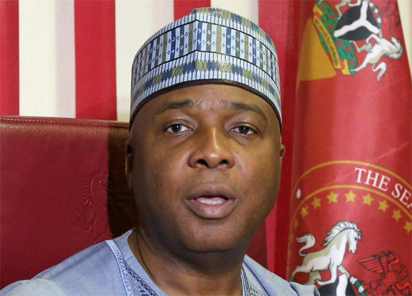 Saraki, through his Special Adviser, Media and Publicity, Yusuph Olaniyonu, noted that all the issues and questions raised in the police invitation were answered, stressing that the letter was written and dispatched to the police on Tuesday. He said after answering all the questions raised by the police in his letter, he did not believe there was any further need for him to go to the police personally. He also said he believed that his letter to the police was enough, hence there was no need for him to go personally to the police for the same issue. It will be recalled that Saraki had on Monday night in his response to the invitation sent to him by the Police to report to a station in Guzape over the Offa robbery investigation, described it as a plot designed by the Presidency and the Federal Government to force him and his associates to remain in the ruling All Progressives Congress, APC, a party he described as where its members are criminalised without just cause. According to Saraki, the invitation by the Police is mere afterthought, which is designed to achieve political purpose and to also compel him and his associates to continue to fraternize with the APC. He said the design of the police might be in connection with his 2019 political ambition, which was not a personal decision for him to arrive at. The Inspector-General of Police, Ibrahim Idris, had on Monday invited Saraki to appear before the Police Special Anti-Robbery Unit at Guzape to answer questions over his alleged involvement in the Offa robbery incident.